The National Flooring Company is a recognised leader in the supply and installation of resin flooring and has a well established reputation for providing The Emergency Services with the fastest, safest and strongest resin flooring solutions. 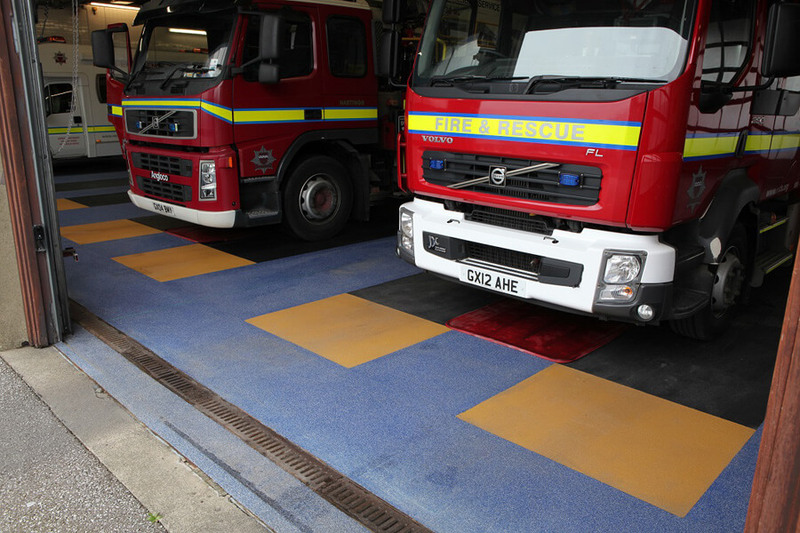 We’re currently helping East Sussex Fire Authority ensure their stations are Health and Safety compliant by installing durable, slip resistant flooring in their appliance bays. A total of 13 stations have been completed so far. NextNext post:National Flooring are on fire!! !